Spring Cleaning… Should Include your Insurance Coverage! sure you have adequate insurance coverage for you and your family. Based on my 28 years of experience, I find that sometimes people do not review their automobile insurance coverage until after they have been injured in an accident. It is very important to be sure you have adequate insurance coverage particularly since there are so many drivers on the road who are not insured. Under Delaware law, uninsured motorist coverage applies in the following situations. Uninsured coverage applies where 1) the at-fault driver has no insurance; 2) the insurance company insuring the at-fault driver has gone insolvent; or 3) the accident was caused by a hit and run driver. Underinsured motorist coverage applies when the value of your pain and suffering is greater than the at-fault person’s insurance coverage and your underinsured motorist coverage is greater than the at-fault person’s coverage. 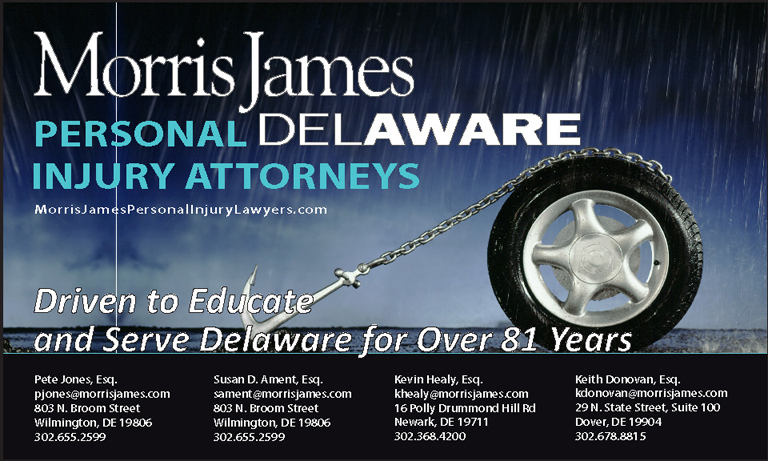 In Delaware an insurance company must properly offer uninsured/underinsured motorist coverage to you in an amount up to the amount of your liability coverage. If the insurance company has failed to make a proper offer, the uninsured/underinsured coverage can be increased even after the accident. Our attorneys are well versed concerning these types of cases known as Reformation Actions (to reform your automobile insurance coverage to a greater amount). Many times, drivers do not understand what the various types of automobile coverage are. Delaware Law maintains that the minimum automobile coverage that a person can have is $15,000 per person/$30,000 per accident. This means that the maximum anyone injured can receive is $15,000 per person, and there is only $30,000 coverage available to all injured occupants of a vehicle. This is far too minimal for an automobile accident involving serious or catastrophic injuries. The way to protect yourself and your loved ones is to obtain coverage far greater than the minimum required by law. Most insurance carriers offer $50,000/$100,000 or $100,000/$300,000 and there are various single limits coverage policies available. You can also secure a one million dollar rider to be sure you are adequately covered if you are injured in an automobile accident. If you review the declarations sheet which accompanied your policy of insurance, you will see that in addition to the Uninsured and Underinsured coverage discussed above, you have PIP and Liability coverage. PIP is Personal Injury Protection which is the coverage available for payment of medical bills, lost wages and substitute services when you are injured in a motor vehicle accident. when you are at fault and cause an accident. If you or someone you love is hurt in an accident, the Morris James Personal Injury Attorneys routinely and very carefully review any and all applicable automobile insurance policies in your household. damages and we advise them to consider increasing their automobile insurance coverage. Those clients unfortunate enough to have been in a subsequent accident tell us how thankful they were for this timely advice. So think spring cleaning and review the declaration sheets of insurance policies in your home. Susan D’Alonzo Ament is a partner with Morris James LLP and has practiced for 25 years representing personal injury victims. Over the years, Mrs. Ament has found that some women don’t understand the crucial need to have adequate automobile insurance coverage in the event of a serious accident. Susan Ament educates women on these needs every day in her practice and in seminars that she presents throughout the year. Spring cleaning is a good time to review your insurance coverage to be sure you have adequate insurance coverage for you and your family. Based on my 28 years of experience, I find that sometimes people do not review their automobile insurance coverage until after they have been injured in an accident. It is very important to be sure you have adequate insurance coverage particularly since there are so many drivers on the road who are not insured. Many times, drivers do not understand what the various types of automobile coverage are. Delaware Law maintains that the minimum automobile coverage that a person can have is $15,000 per person/$30,000 per accident. This means that the maximum anyone injured can receive is $15,000 per person, and there is only $30,000 coverage available to all injured occupants of a vehicle. This is far too minimal for an automobile accident involving serious or catastrophic injuries. The way to protect yourself and your loved ones is to obtain coverage far greater than the minimum required by law. Most insurance carriers offer $50,000/$100,000 or $100,000/$300,000 and there are various single limits coverage policies available. You can also secure a one million dollar rider to be sure you are adequately covered if you are injured in an automobile accident. If you review the declarations sheet which accompanied your policy of insurance, you will see that in addition to the Uninsured and Underinsured coverage discussed above, you have PIP and Liability coverage. PIP is Personal Injury Protection which is the coverage available for payment of medical bills, lost wages and substitute services when you are injured in a motor vehicle accident. Liability is the insurance coverage available to the other person, when you are at fault and cause an accident. Given many years of experience, we frequently find clients are underinsured for their damages and we advise them to consider increasing their automobile insurance coverage. Those clients unfortunate enough to have been in a subsequent accident tell us how thankful they were for this timely advice. So think spring cleaning and review the declaration sheets of insurance policies in your home.